The site of the Club may very well have once been the medieval vicarage researched by Rev. Alan Bliss and described as “South of St Andrew’s Church”. The unmarried vicar of that time also had a smallholding on the same site which would account for the large plot known as St Andrews including the site of St Andrews Maltings, now a car park. The Ivel Navigation, from Tempsford to Ivel Mill, Biggleswade opened in 1758, enabling waterborne traffic to travel all the way from Kings Lynn via the Ouse Navigation. Lighters were turned in the mill pit. An extension through to Shefford opened in 1823. There were three wharfs in Biggleswade, Ivel Bury, Middle and St Andrews. The Navigation closed in 1876 with the coming of the railways. It is a distinct possibility that there were a wharf, house and maltings on the site by 1758. Hooper and Fletcher archives describe St Andrews owners as being formerly Turner Boston, then the Foster family. There is a mention in the Manor Court Book of the ownership of a malting passing from Richard Hide to Turner Boston in 1777. The listing of historic buildings describes St Andrews as “Front – Early 18th Century, Rear - possibly early 18th Century”. Richard Foster was a merchant in 1785 and possibly he was responsible for the reconstruction or adaptation of the present building. The site was shown in the 1838 Tithe Award Plan and described as “a house, wharf and pleasure gardens in occupation of John Foster”. John foster was still there in the 1851 census described as a “coal, timber and wine merchant. By 1869, Charles Powers the miller was in residence and by 1877 his brother Edmund Powers had joined him. The next owner was James Daniel, a prominent Methodist, Market Gardener, farmer and seed producer who also operated a shirt factory at St Andrews place. 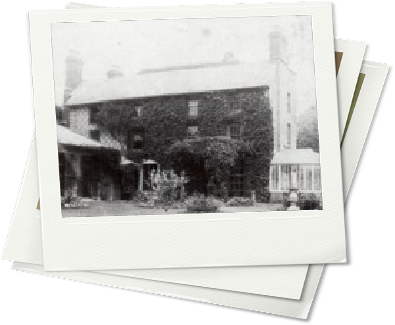 His son, James Cecil Daniel inherited in 1896, moving to Brooklands farm in 1906 when Dr Alfred James purchased the property. The executors of Dr James (Charles Russell James and Alfred Herbert James) put this estate, including St Andrews, up for auction on the 9th August 1913 (see Bill of sale link below). The trustees of the Biggleswade and District Constitutional Club (Jack Fisher, William Jordan, Herbert King, Henry Lindsell, Frederick Maythorn, Douglas Spong and George Turner) purchased the property for £1,700.00. They were helped in this by the provision of a favourable mortgage supplied by Col. Shuttleworth. The Trustees also bought St Andrews new hall (now St Andrews Rooms) at the same time. Following necessary alterations, funded by William Jordan, the new Conservative Hall opened on the 18th December 1914. This was the Biggleswade and District Constitutional Club’s first proper home. Since it’s formation in 1905 the club had existed in rented accommodation along Shortmead Street on part of the site that is currently occupied by Millers Court and was formerly the Bus Depot. The club members immediately set about renovating the clubhouse and installing the Bowls Green. The tennis courts were added a few years later in 1920. Disaster struck the Club on the 14th December 1935 when the bar, billiard room and kitchen were badly damaged by fire. Tragedy was narrowly averted when the Fire Brigade rescued Mr & Mrs H.E. Pressland from their bedroom where they had been trapped and had almost died from suffocation. Temporary arrangements were made to enable the club to continue and rebuilding work the next year included alterations and improvements that continue to the present day. In 1964, the cottages and part of the gardens were sold off to developers and have been replaced by what is now St Andrew's Close.